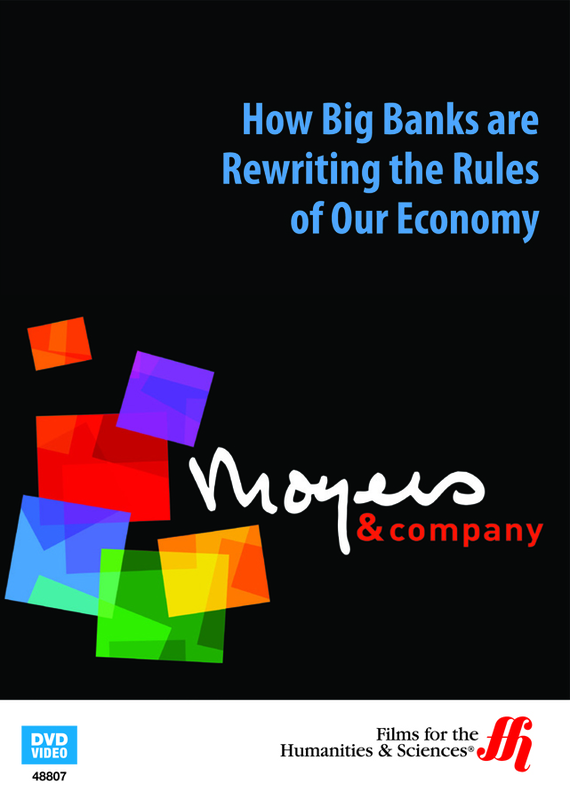 Bill Moyers shows how big banks have changed the laws in their favor and how they permanently changed the economy as well. Bill Moyers discusses how in 1998, the merger of Citicorp and Travelers was approved by Congress and President Bill Clinton even though such a merger would be illegal under the regulations of the Banking Act of 1933. Bill Moyers notices how the politically engineered economy through the efforts of Wall Street with the collusion of Washington, D.C. brought about the scenario that allowed this illegal merger to occur in contradiction to the Banking Act of 1933 that stood for over seventy years to protect Americans from such a travesty. The Glass Steagall Act was supposed to put a barricade between the actions of investment bankers and commercial bankers so that the FDIC would not be exposed to extraordinary risk for the money it was insuring. But in favor of the Citicorp/Travelers merger, John Reed argues that Citicorp and Travelers were losing customers to investment banks that could save them money. By merging with Citibank, the new enterprise gained access to capital markets, and through a legal loophole Travelers could buy Citi and then have two years to correct the deviation from the law. All the politicians, including President Bill Clinton, backed the reversal of the Glass Seagall Act within the proscribed two-year period. Nobody at the time seemed even slightly aware of the danger. The lone dissenter was Senator Byron Dorgan, who warned that this was risky legislation, but he was quickly silenced. Moyers asked Reed why no one saw the problem they were creating with low document or no document real estate loans being packaged up and sold as securities that were insurance-wrapped as "A" grade investment securities. Everybody was getting rich, so there was no incentive to pay any attention to the underlying securities and whether or not they had any real value. Removing the legal restraints provided by the Glass Seagall Act was the same as taking off all the safeguards. The results are that the persons responsible for the greatest economic crash since the Great Depression are still in charge and according to Bill Moyers they completely got away with it.